Our goal is to create an unforgettable adventure for kids while encouraging their appreciation of our ocean and local species of fish, seals and shorebirds. We show kids how to read the boat's Radar, Fishfinder and GPS. We teach kids about the ever-changing weather and tides and how to safely handle fishing gear. We encourage future mariners to try their hand at steering the boat and tying fishermen's knots. The most excitement comes when we help them catch a fish that can seem almost as big as they are! 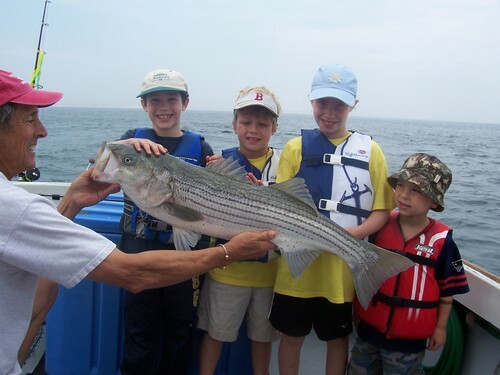 We specialize in making sure young, first-time fishermen have a stress-free time that's also lots of fun!